This easy to make poinsettia craft is suitable—and fun—for preschoolers. It will add holiday cheer to your classroom, can be attached to a holiday card, or even used to make a wreath. 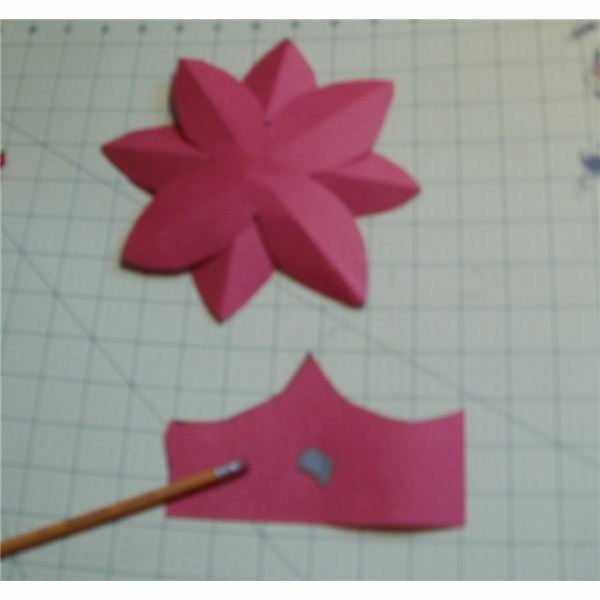 Downloadable template for the poinsettia flower petals. Print the downloadable PDF file for a template of the poinsettia flower petals. If you want to trace the pattern, print it on plain paper. 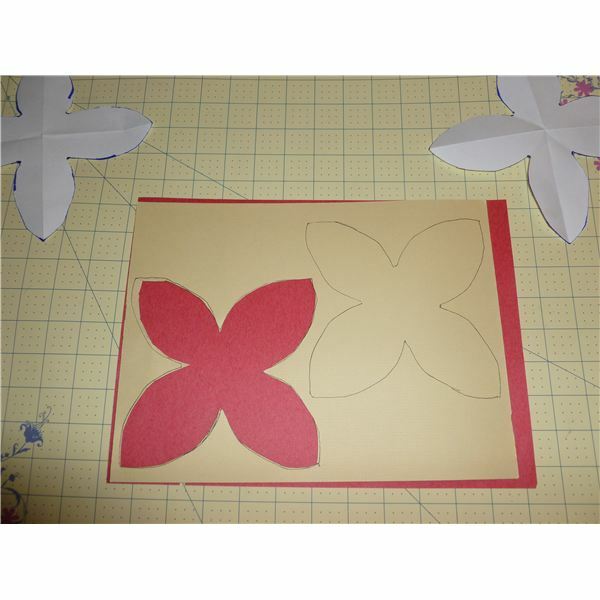 To make a stencil, either print the pattern on card stock and remove the interior of the pattern, or trace and cut out the petals from plain paper and then trace around them on a manila folder or cardstock. Cut out the two pieces. 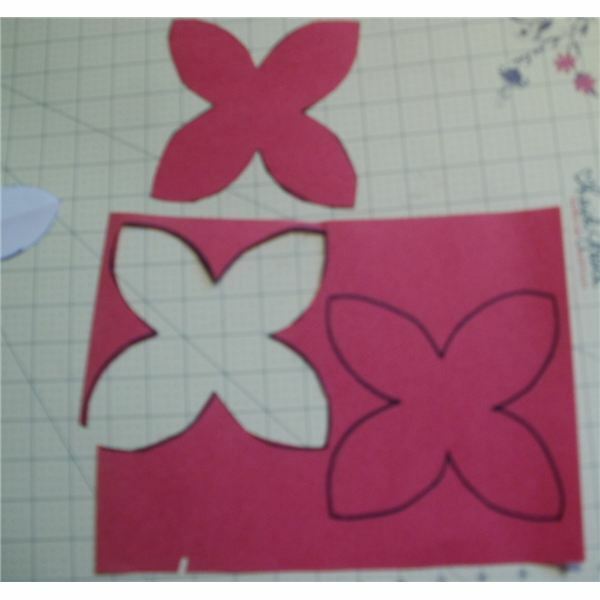 Depending on the size of the class, you may want half a dozen patterns or templates for the children to use. Have the children trace the pieces or the stencil onto a sheet of red construction paper, or for younger children, help them trace. 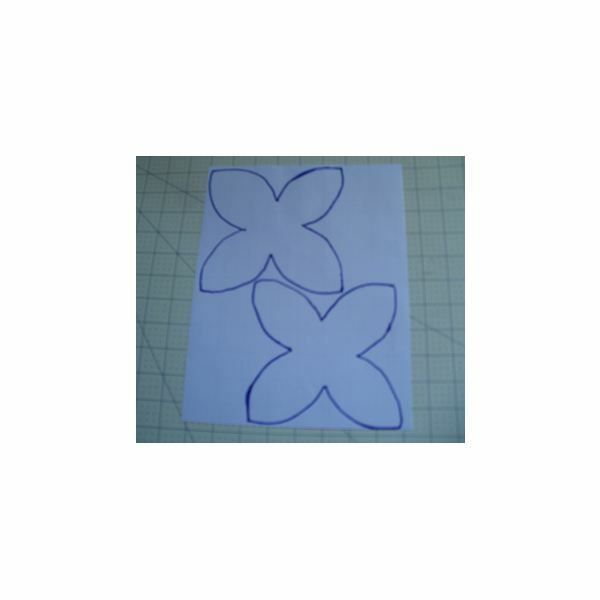 Keep an eye on the pattern tracing – when the children are tracing around the pattern themselves, you need to make sure that both petals fit onto the sheet – there should be plenty of room. If they are using a stencil, the pattern will be spaced correctly. If children have trouble drawing around the template because their pencil or marker slides under the template, consider cutting the templates from light card. 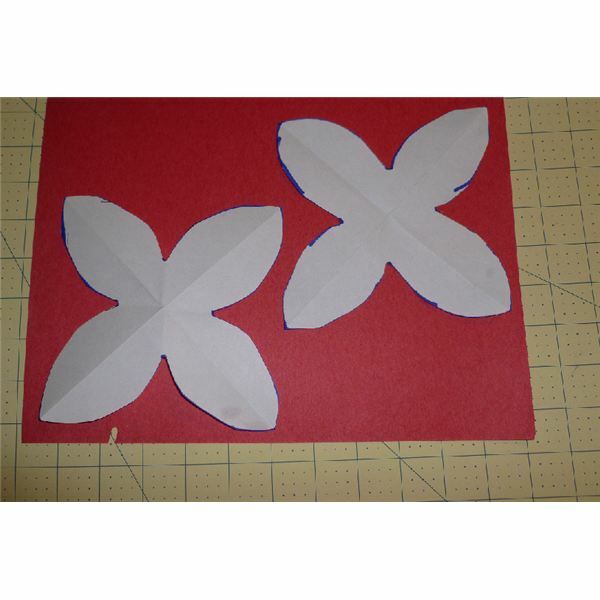 Help the children cut out the two petals from the construction paper with safety scissors. A little unevenness on the petal edges won't hurt. 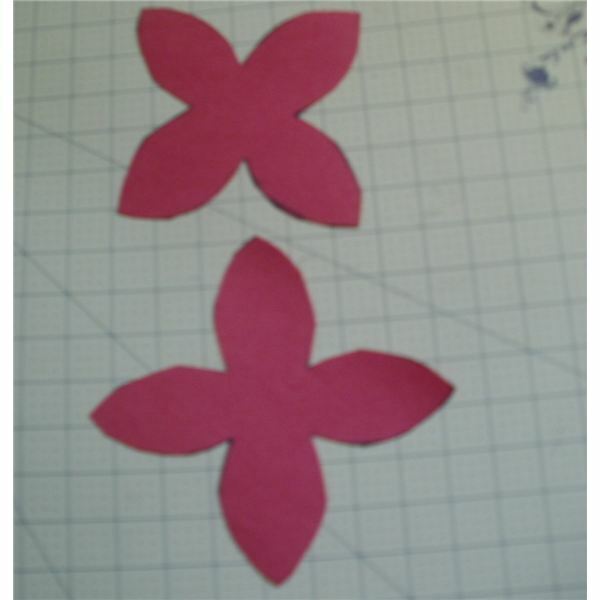 If they miscut and actually cut a petal off, don't worry about it, since you are going to be gluing the two petals together. 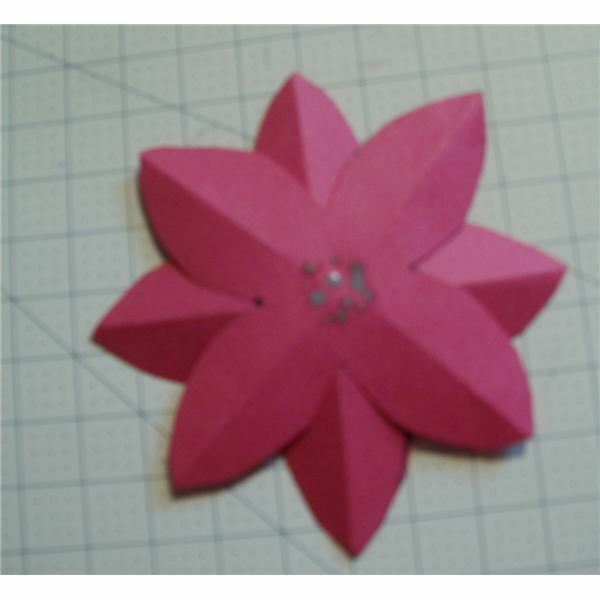 Depending on the craft project you want to make with the poinsettia, you could also just keep the miscuts for filler, and have them cut another piece. Have the children lay the petals on top of each other to see the shape. The poinsettia has a flower shape, but doesn't really look like a flower yet. 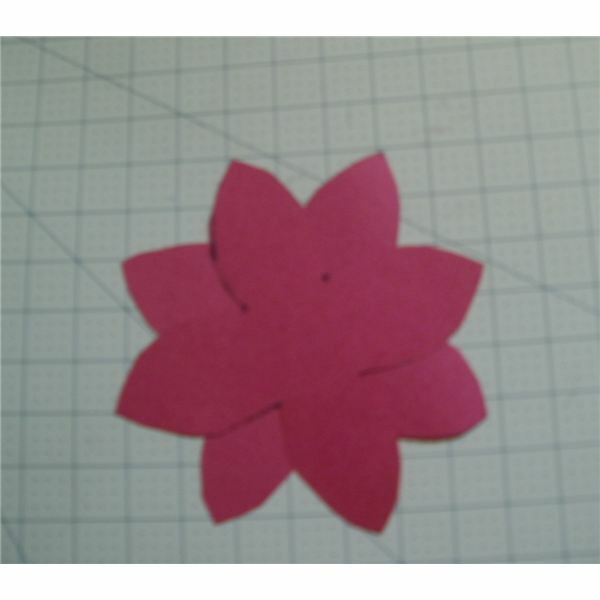 To give the flower a 3-D effect, have the child crease each petal section. 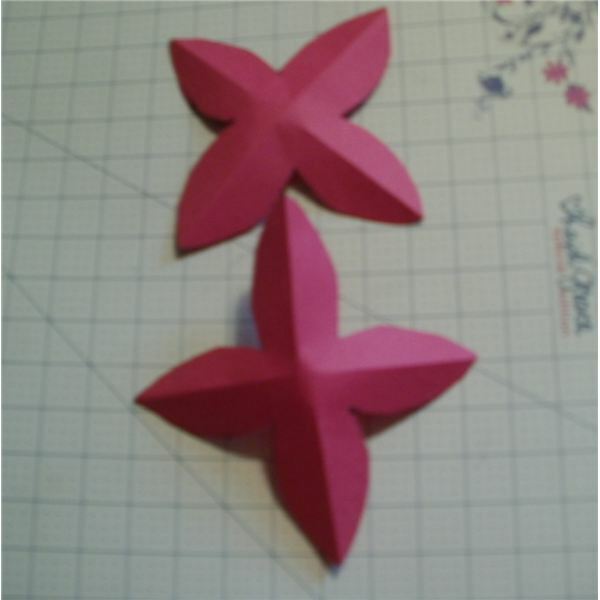 They can fold over the petal one at a time, or fold the flower down the center and crease the two petals. I found folding the piece in half is easier to do and less likely to tear the paper. petal and press it onto the glue, with the crease in that petal making a tent as well. Let dry – the glue stick will set almost immediately. When the glue has dried on the flower petals, it is time for the children put a center on their poinsettia. Drop a bit of paint on to a scrap of paper for each child. You can use yellow, or even gold or green paint, depending what you have on hand. Then tell them to take the pencil with an eraser on it, stick it in the paint, and dot the center of the flower. This poinsettia makes a cheerful front for a holiday card made by the child. 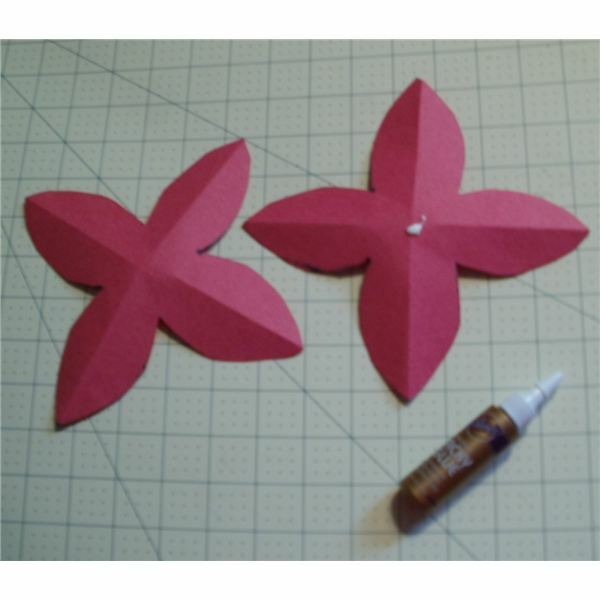 If you have them make a dozen more, you can cut out a wreath shape from cardboard and make a poinsettia wreath. Use the same general shape for the leaf as a single flower petal – poinsettia flowers are actually brightly colored leaves and not a true flower. Have children place flowers onto the wreath shape and then fill in the areas between with the leaves. You can let them use a glue stick or use white glue to attach them. A festive and personalized door decoration can be made by letting each child make another poinsettia, and instead of dotting the center with paint, have each child put a small photo of themself in the center. The photo in the poinsettia also works well on a handmade holiday card.